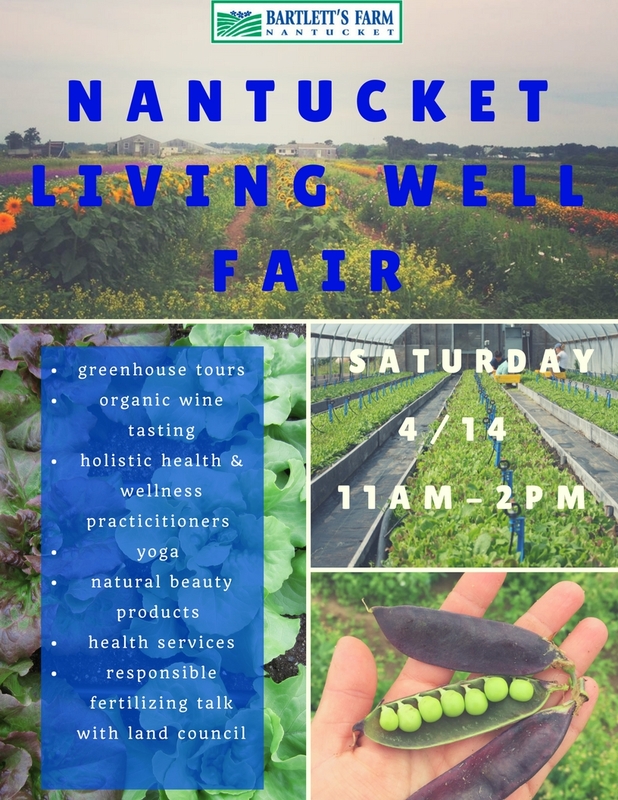 Join us at the Farm on April 14th from 11 AM to 2 PM for a day of tasting, shopping, tours and education with Nantucket’s leading holistic health providers and professionals. Andrew, our head grower will lead tours of the greenhouses, Leah will be pouring organic and natural wines. There will be kitchen samples and specials, and a talk lead by Cormac Collier of Nantucket Land Council about responsible fertilizing. We will have kombucha and cold brew coffee tastings with Aqua Vitea & NOBL coffee, vendors selling natural beauty products and services and more! Don’t miss this celebration of spring, the Farm and your health!